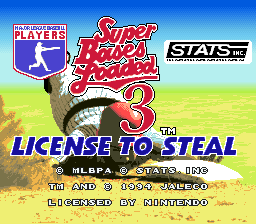 This is the Japanese version of Super Bases Loaded 3 - License to Steal. This is a rare case where the US version at 16 Mb is larger than the Japanese version. 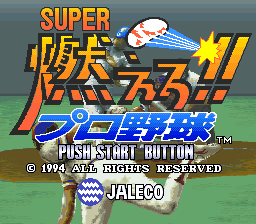 Internal Title Super Bases Loaded 3!